It seems that each year it gets harder. The calendar gets full and the days get fuller. All this hustle and bustle in a season that is supposed to be about waiting and watching–for the King Who came and is coming. I got out the Christmas books early this year. An ever-changing stack of them is on the coffee table. And I may already be playing a bit of Christmas music. But I’ve decided not to stress about reading every book or trying to help my children create handmade gifts for everyone on our gift list. I’m giving myself permission to skip the glue and the glitter for another year. Instead, we’re slowly savoring the simple promises outlined in a beautiful new Advent storybook that has become my children’s favorite. And we’re celebrating the season by listening to a lot of music, old and new, that reminds us what this waiting of Advent is all about. 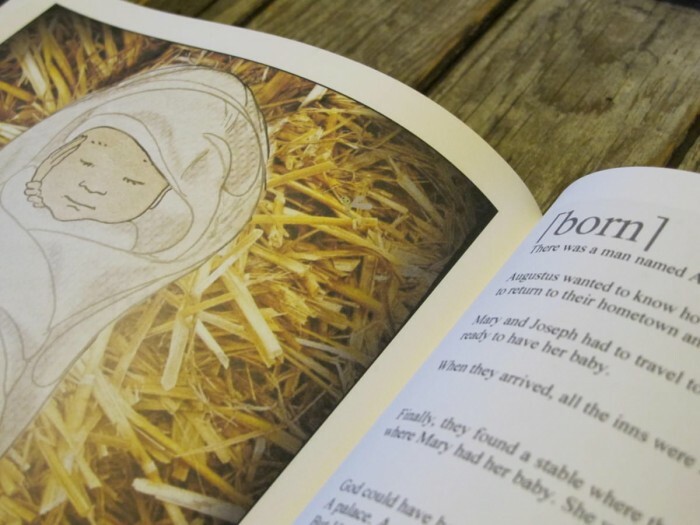 It’s easy to lose sight of the whole story of Christmas when we’re focused on the manger and the Babe. But this beautiful book by Natasha Metzler starts at Creation, telling us over and over about how “really great things happen when God speaks”. In a way that’s so simple a child can understand, yet so profound it touches my heart deeply as I read it aloud, we’re reminded that we “were made to be friends of God”. 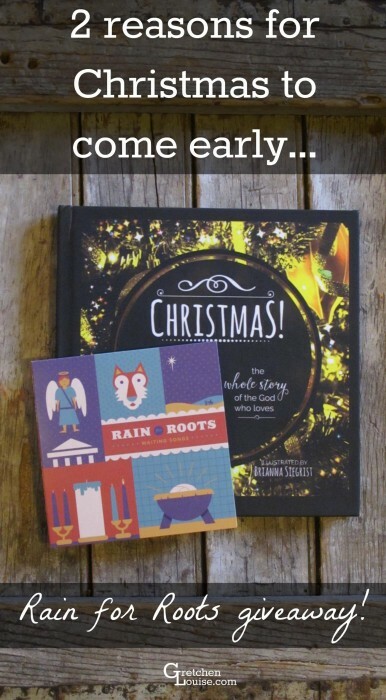 You’ll find unexpected stories within Christmas! as Natasha tastefully weaves the tales of Rahab and Hosea in with those of Noah and Moses. 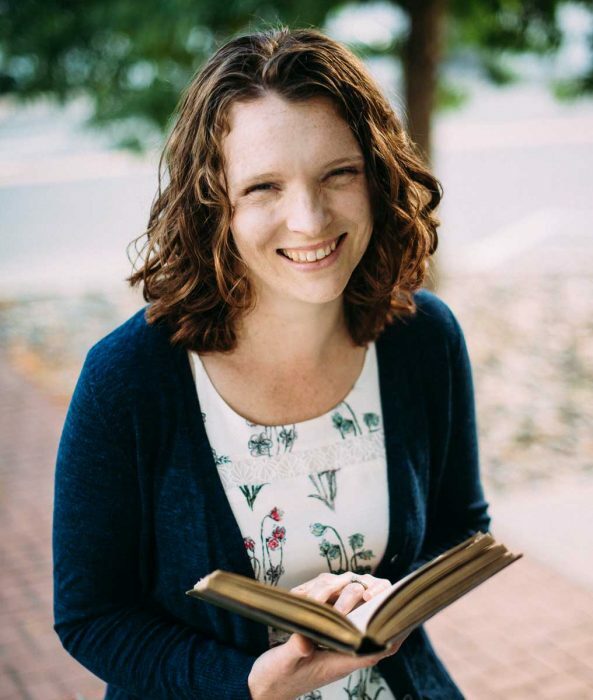 She clearly draws the parallels from the Old Testament to the New, showing how everything pointed to the promise that Someone was coming to fight the snake. Christmas! contains 25 concise readings, one for each day of Advent. 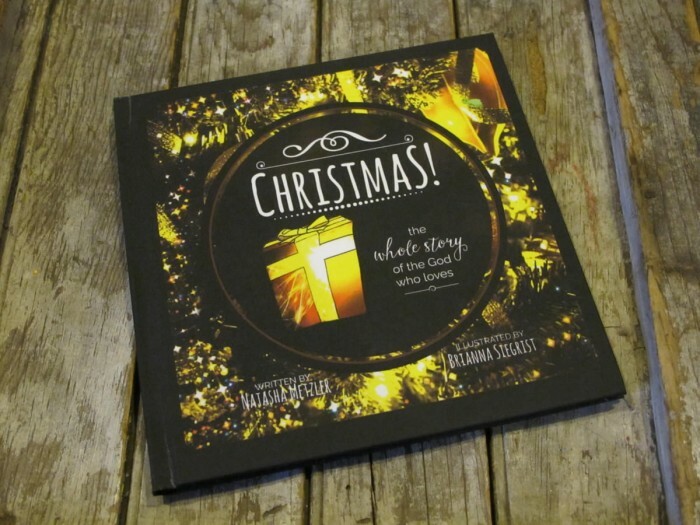 With bugs on each page for the littlest ones to find, and Scripture passages in the back for the older ones to search out, this is an Advent book for the whole family. 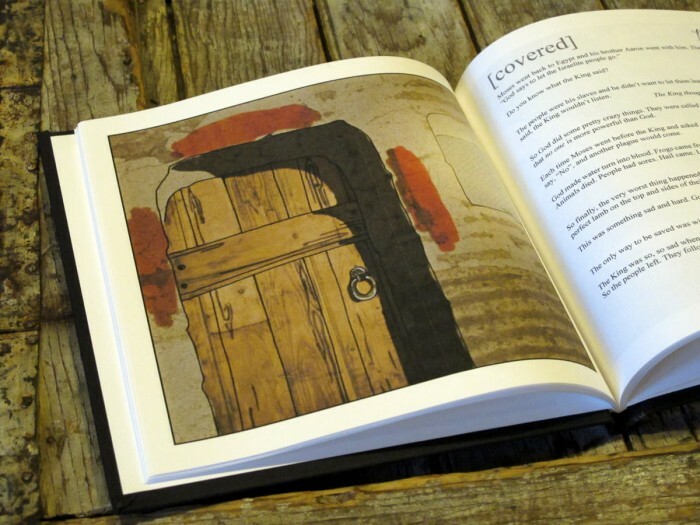 And the illustrations by Brianna Siegrist? They take the greatest Story ever told and make it come alive in vivid color for your children. But most of all, Christmas! reminds us that the Story didn’t start when Jesus was born: it started in the Garden, with a man made in the image of God and a snake who lied about God. It started with a promise that someday, somehow, they would once again be friends of God. Some Christmas music is meant to be played all year long. Waiting Songs from Rain for Roots is just such an album. While it opens and closes with two beautiful renditions of hymns traditionally categorized as Christmas music, every song in between makes it clear that this is an album about waiting for our Savior to return as much as it is celebrating the fact that He has already come. Rain for Roots has a unique and pleasing sound. It’s the kind of easy-listening that I can keep on repeat all day, as well as let my children listen to as they fall asleep. This CD has an almost mournful, melancholy sound to some of the songs. But at the same time, it is tinged with such hushed expectation it’s almost palpable. You can hear it–the agony of waiting, the joy of His coming, the knowing He is coming again soon! And as much as I love the traditional, upbeat Christmas carols, this year I’m especially loving this quiet musical contemplation of His coming. Because it’s hard to wait. It’s hard to quiet my heart and be still when all around me is so busy and loud. But these Waiting Songs are helping me do just that. Just as Christmas! 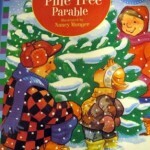 brings my children and me back to the reason for the whole story of Christmas and the God who loves. Disclosure: I received complimentary review copies of both Christmas! and Waiting Songs. However, they are each items of which I’ll be buying multiple copies for gifts! This book sounds just wonderful! 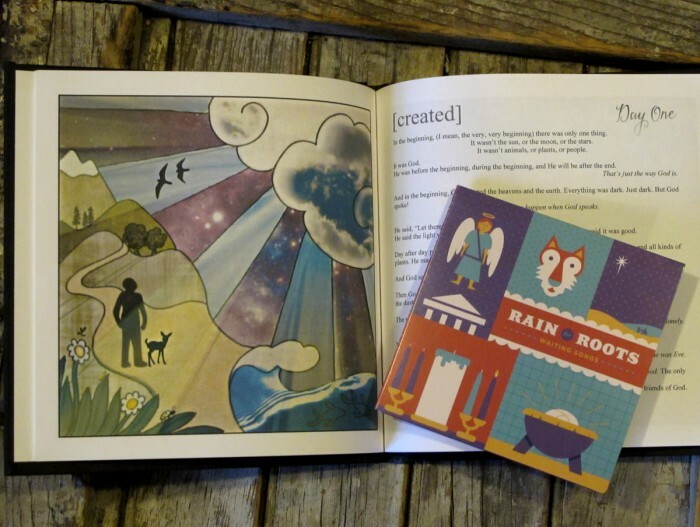 It kind of reminds me of the Jesus Storybook Bible for Advent! 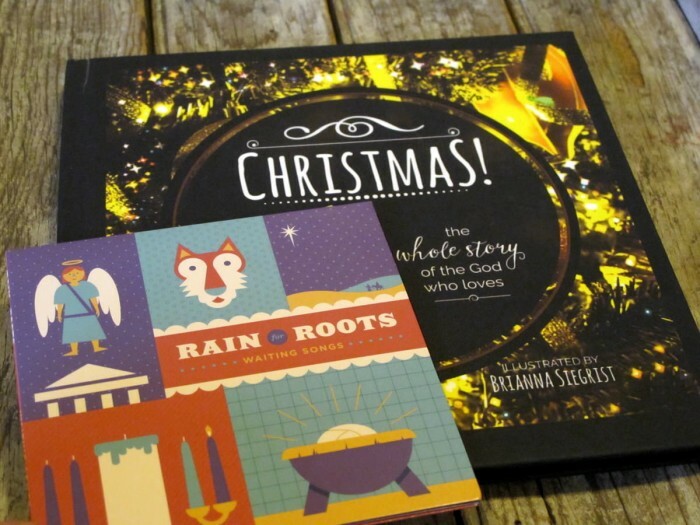 And we love Rain for Roots, but somehow I had missed that they have a Christmas album. I’ll definitely need to be checking that out! 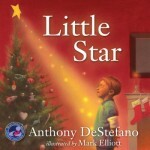 Thanks so much for linking up at my collection of Christmas reads for kids at DesperateHomeschoolers.com! Thank you for the fun link-up, Tina! 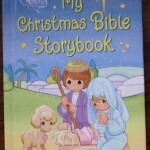 You’re right, it’s just like a Jesus Storybook Bible for Advent. 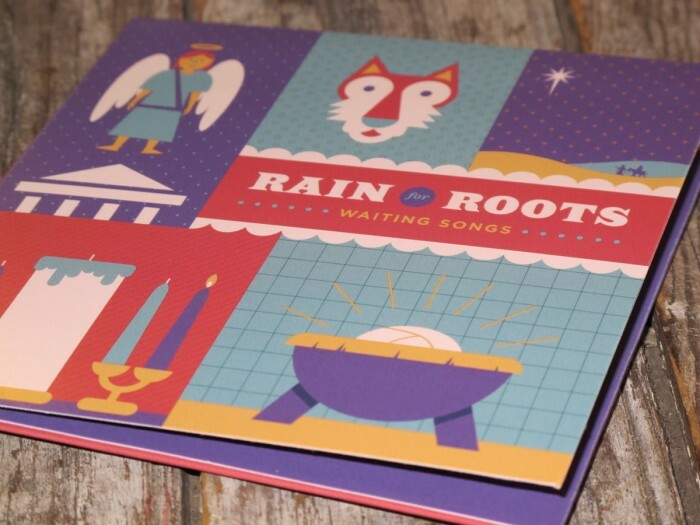 And “Waiting Songs” is a definite must-buy for any fan of Rain for Roots. We started lighting weekly candles last year. We make a point of lighting the candles in our advent wreath and having special devotionals. The first decoration to come out each Christmas is the nativity set. Even if no other decorations were put up, that is truly the focal point of the advent season. And of course Christmas music is the other non-negotiable! 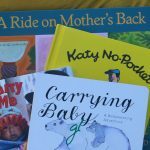 Thank you for sharing these wonderful resources. I’m not married yet, nowhere even close to being pregnant, let alone have a child of my own. However, it seems that as I’ve gotten older, that the whole season of Christmas gets busier and busier. You are wise, Gretchen, not to get all caught up in all the work and prep of the Christmas season. I was stressing out last year that I wasn’t able to make Christmas cards to send out. I need to just wait and focus on what Christmas is really about. Thanks again, I needed to hear this. Such a fun giveaway! These resources are beautiful. It’s true that sometimes we get caught up in just ONE aspect of the Christmas story. I love this beautifully illustrated Christmas book 🙂 And the relaxing music, too. Love doing Truth in the Tinsel with the little kids and packing Operation Christmas Child Shoeboxes! My favorite way to celebrate Jesus’ first coming is to turn on Andrew Peterson’s Behold the Lamb cd. When I’m wrestling with why God lets bad things happen, I am most encouraged when I think about how God the Son came to suffer with us. My toddler adores the Behold the Lamb cd as well. This year we got a Nativity set as well! Having married a man that grew up not celebrating Christmas at all we didn’t do much of anything the first few years. Which was difficult for me, I love Christmas. 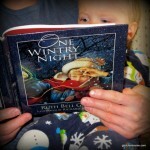 Now we do read the advent story from the gospels, read One One Wintry night, enjoy the carols and have slowly added a little more celebration. It has been a blessing to me in disguise, making me slow down more and truly savor the meaning of Christ’s birth. We have the first Rain for Roots CD and it’s great! I would love to hear the Advent one! Gretchen is dependable, charges reasonable rates, and genuinely cares about my site and my business.